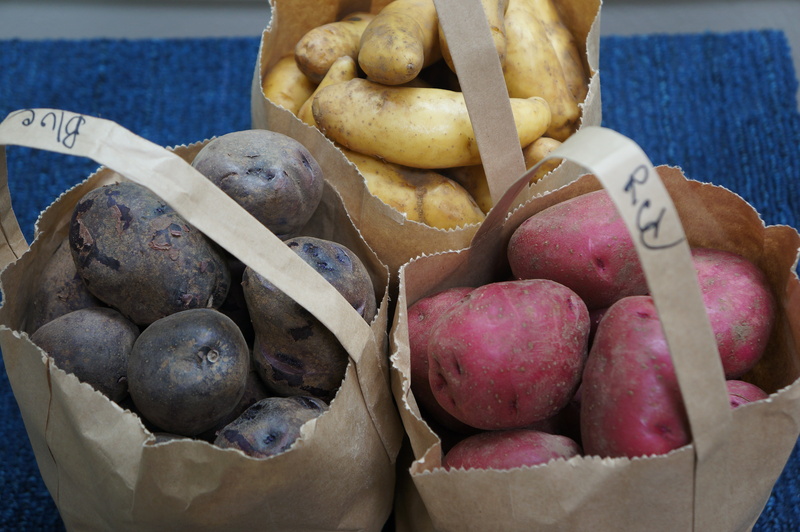 These are the gorgeous blue, red, and fingerling potatoes I snapped up at the farmer’s market. I came home and fried up some of the fingerlings in the duck fat I’ve been hoarding in the refrigerator since my last duck dinner. Oh my. 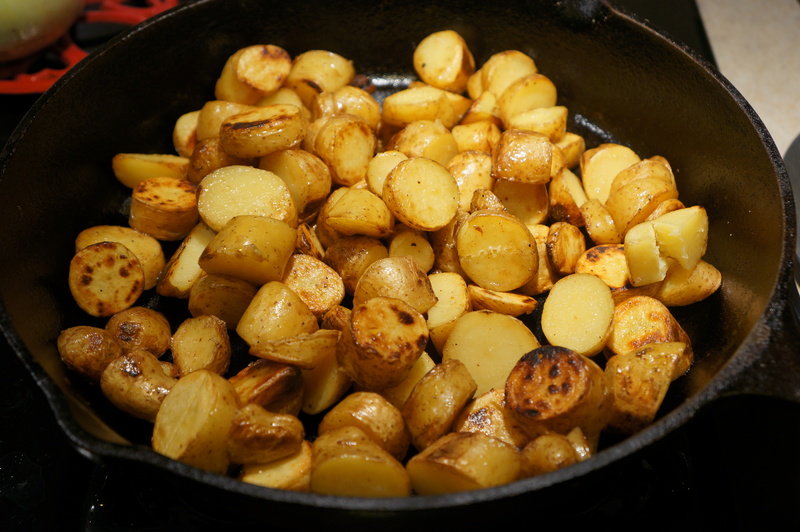 Fresh potatoes were made for duck fat. That’s all I can say. I had to severely restrain myself from eating the whole pan-full. But by doing so I had the leftovers to warm in the pan in the morning and put fresh fried eggs over. Oh my again!